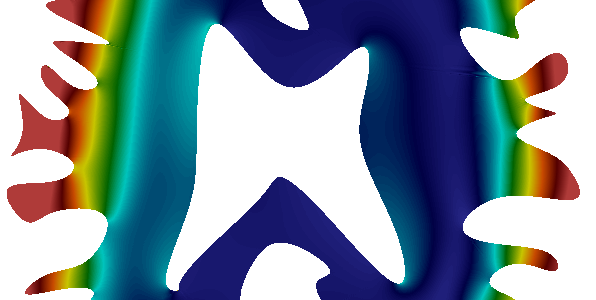 The purpose of this project is to reduce the errors associated with numerical solution of wave propagation problems and their computational costs. In high-frequency regimes, the solution of conventional FEM sufferers from pollution error which is due to dispersion and can be visualized as a phase shift of the numerical solution. To maintain a desired level of pollution error in conventional FEM, it is necessary to increase discretization density faster than the wave number which rapidly increase the computational cost. On the other hand, the geometrical accuracy of the scattering surfaces play an important role in accuracy of the solution. The possibility of representing man-made objects exactly in IGA even with very coarse meshes and the convenience of its refinement makes it a desirable platform to perform scattering analysis. The convergence graphs obtained for scattering problems performed in IGA platform approves the anticipated properties and makes it possible to increase the solution accuracy even for very high-frequency analysis. [http://mechanical907.rssing.com/browser.php?indx=25030677&last=1&item=1], [http://hdl.handle.net/10993/28982]. Exterior acoustic scattering problem – The evolution of L2 error with discretization density in IGA. High-order IGA yields low error with very coarse meshes. Code and all details included + Docker file for multi-platform installation. Congrats to Paul Hauseux and Jack Hale. Beex, L., Rokos, O., Zeman, J., & Bordas, S. (2015). Higher-order quasicontinuum methods for elastic and dissipative lattice models: uniaxial deformation and pure bending. GAMM Mitteilungen, 38(2), 344-368. Jung, A., Beex, L., Diebels, S., & Bordas, S. (2015). Open-Cell Aluminium Foams with Graded Coatings as Passively Controllable Energy Absorbers. Materials & Design, 87, 36-41. Phung-Van, P., Nguyen, L. B., V. Tran, L., T.D., D., Thai, C. H., Wahab, M., Bordas, S., & Nguyen-Xuan, H. (2015, June 14). An efficient Computational approach for control of nonlinear transient responses of smart piezoelectric composite plates. International Journal of Non-Linear Mechanics. Nguyen, V.-P., Anitescu, C., Bordas, S., & Rabczuk, T. (2015, June). Isogeometric analysis: an overview and computer implementation aspects. Mathematics and Computers in Simulation. P., P.-V., M., A.-W., K.M., L., Bordas, S., & H., N.-X. (2015). Isogeometric analysis of functionally graded carbon nanotube-reinforced composite plates using higher-order shear deformation theory. Composite Structures, 123, 137-149. Agathos, K., Chatzi, E., & Bordas, S. (2015). Stable 3D extended finite elements with higher order enrichment for accurate non planar fracture. Computer Methods in Applied Mechanics & Engineering. Akbari, A., Kerfriden, I., & Bordas, S. (2015). Error Controlled Adaptive Multiscale Method For Fracture Modelling in Polycrystalline materials. Philosophical Magazine. Author(s): Agathos, Konstantinos; Chatzi, Eleni; Bordas, Stephane P. A.; et al. Author(s): Hoang, K. C.; Kerfriden, P.; Bordas, S. P. A.
of elliptic PDEs. The main difficulty is the lack of a full description of the diffusion coefficients. It was observed in [1, 2] that the strain smoothing technique over higher order elements and arbitrary polytopes yields less accurate solutions than other techniques such as the conventional polygonal finite element method. In this work, we propose a linear strain smoothing scheme that improves the accuracy of linear and quadratic approximations over convex polytopes. The main idea is to subdivide the polytope into simplicial subcells and use a linear smoothing function in each subcell to compute the strain. This new strain is then used in the computation of the stiffness matrix. The convergence properties and accuracy of the proposed scheme are discussed by solving few benchmark problems. Numerical results show that the proposed linear strain smoothing scheme makes the approximation based on polytopes to deliver improved accuracy and pass the patch test to machine precision. 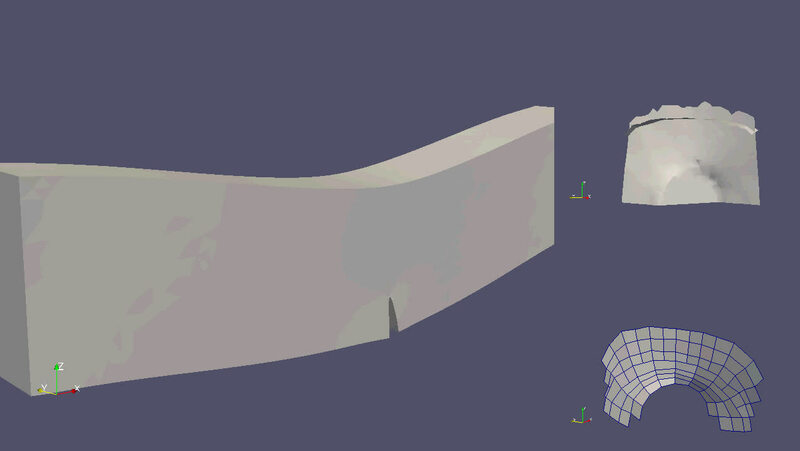 The isogeometric boundary element method (IGABEM) based on NURBS is adopted to model fracture problem in 3D. The NURBS basis functions are used in both crack representation and physical quantity approximation. 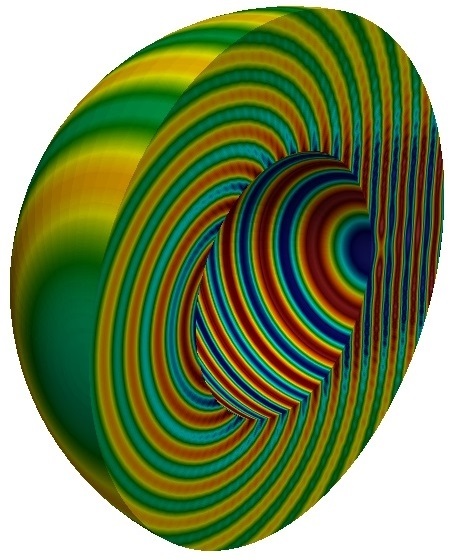 A stable quadrature scheme for singular integration is proposed to enhance the robustness of the method in dealing with highly distorted element. 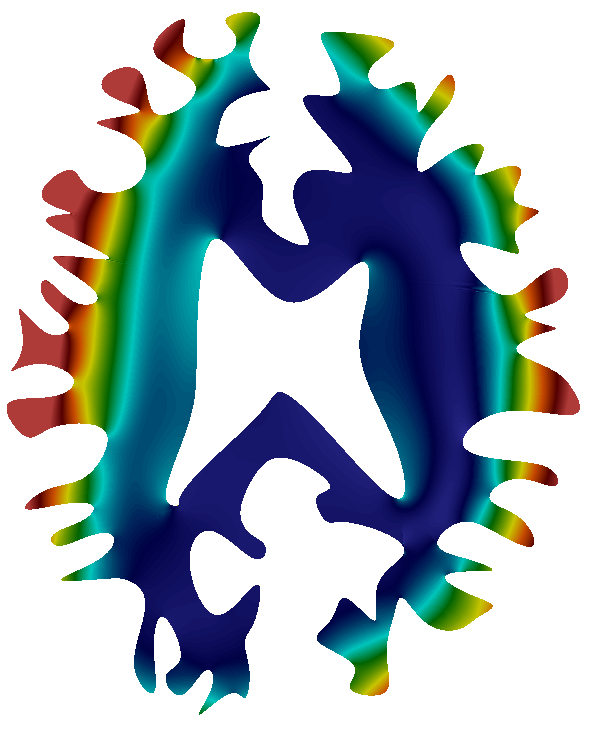 The convergence study in crack opening displacement is performed for penny-shaped crack and elliptical crack. 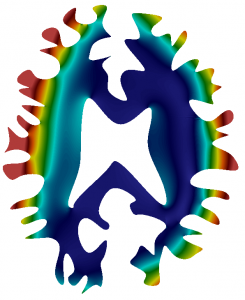 Two ways to extract stress intensity factors (SIFs), the contour $M$ integral and virtual crack closure integral, are implemented based on the framework of dual integral equations. An algorithm is outlined and validated to be stable for fatigue crack growth, thanks to the smoothness not only in crack geometry but also in stress/SIFs solution brought by IGABEM. Thank you to Xuan Peng, PhD Student on the ITN INSIST Project, and to Elena Atroshchenko.